The Atlantic Compact range is a universal multi-purpose and compact hydraulic steelworkers developed for production purposes with maximum efficiency. 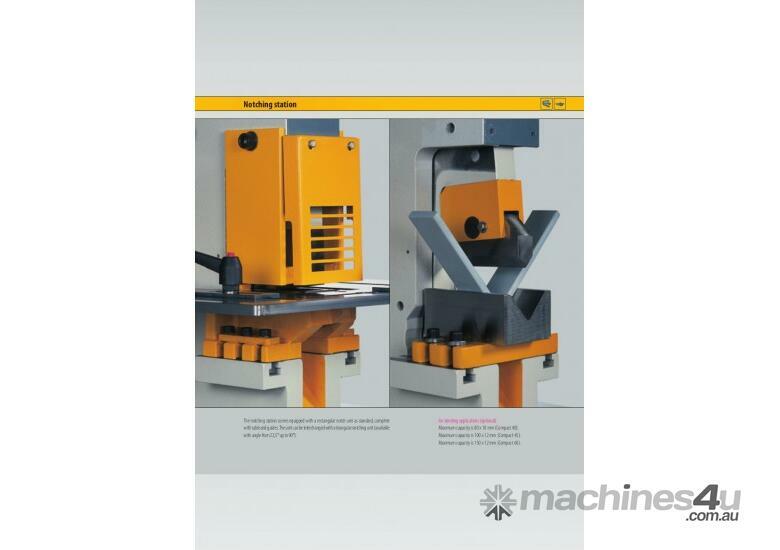 The Compact 60 machine has 5 workstations for punching, cropping round and square bars, cutting angle iron and shearing flat bar and notching station. 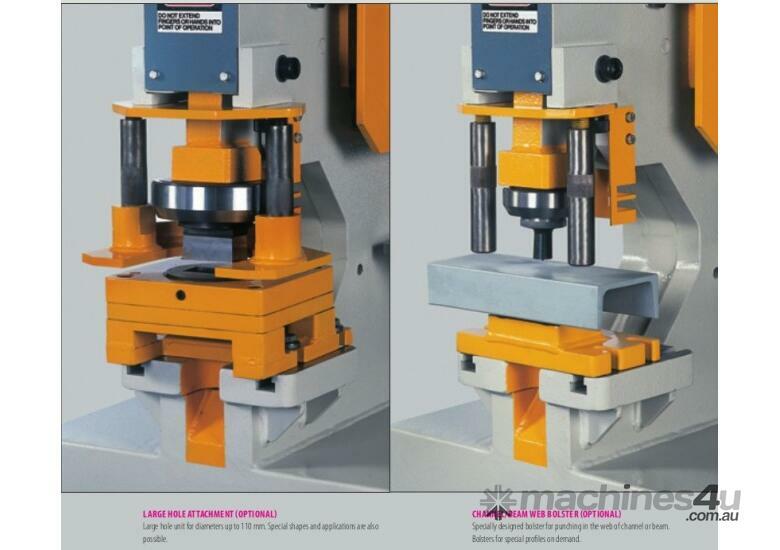 The punch station is designed to enable multiple punching applications. 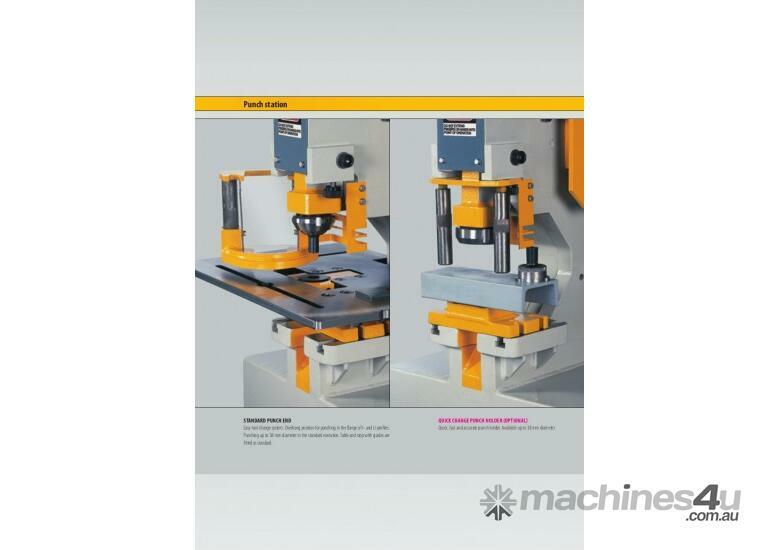 The universal bolster on Compact 60 offers the option of punching sheet metal, flat bar, angle iron and the flange of channel and beam. 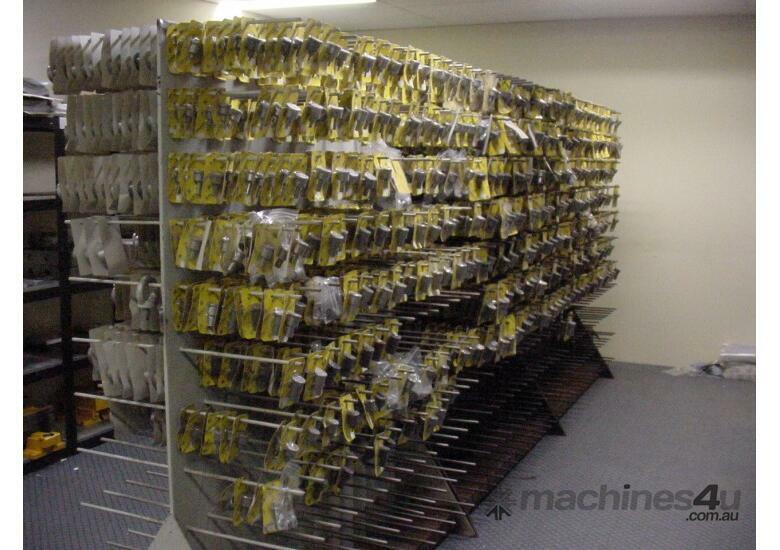 Tooling for special applications is available on simple request. 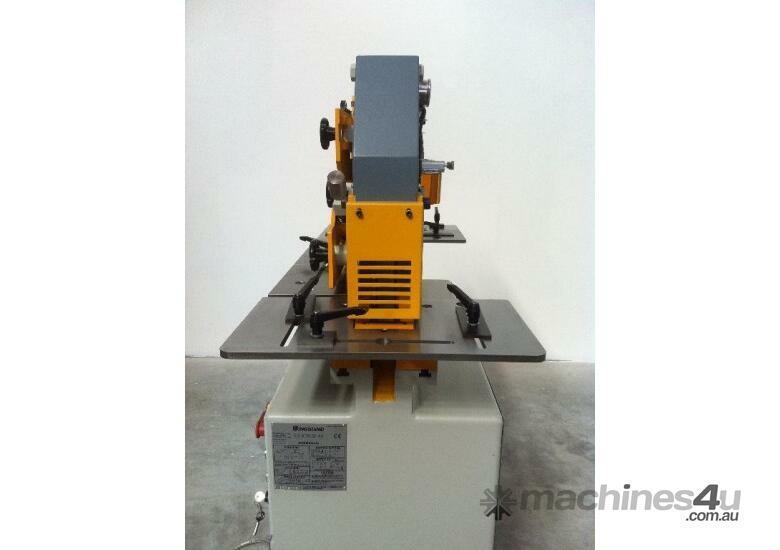 Large heavy-duty tables with guides are part of the extensive range of standard equipment. 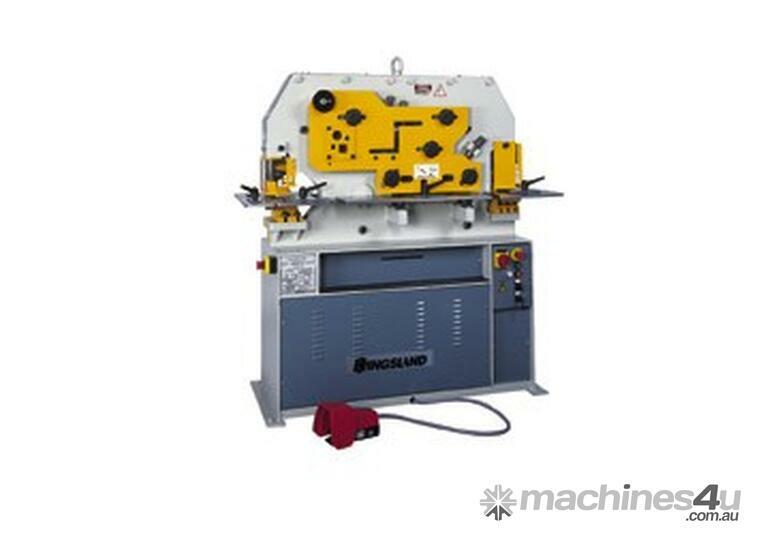 The machine is equipped with blades for cropping round and square bars, optional blades are available for cutting U-, I-, T- and many other special profiles. Angle iron can be cut on 90° and/or 45° (through both flanges, internal and external). 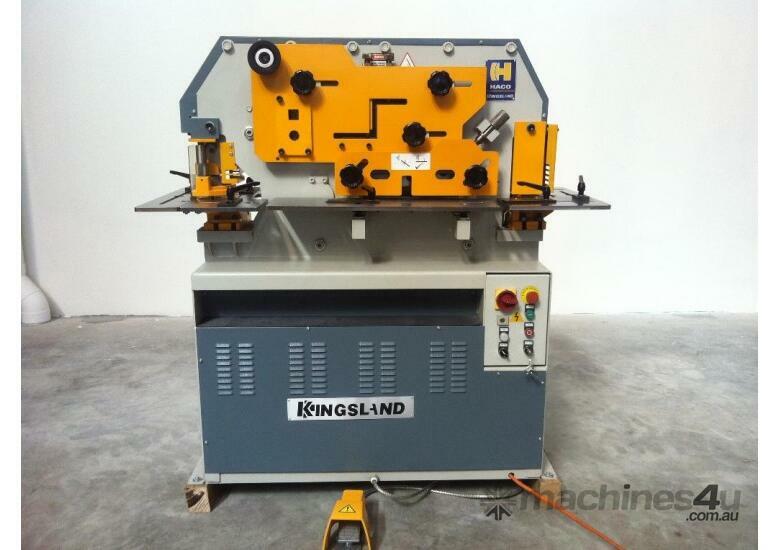 All blades have multiple cutting edges and can be reground. 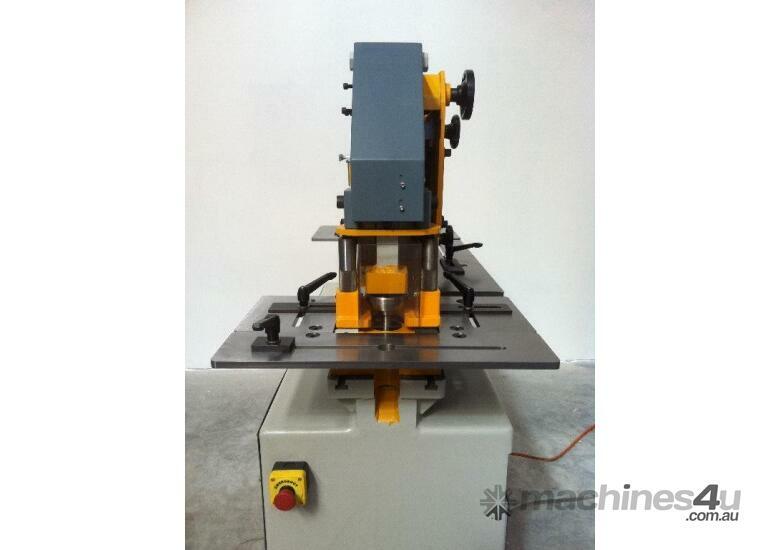 The shear is able to cut thin as well as thick material without the need for blade gap or cutting angle adjustments. 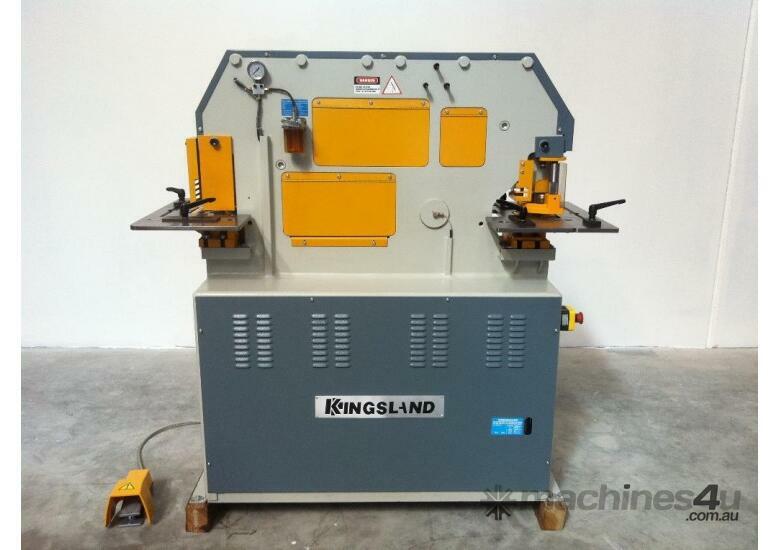 Also flanges of angle profiles can be cut. 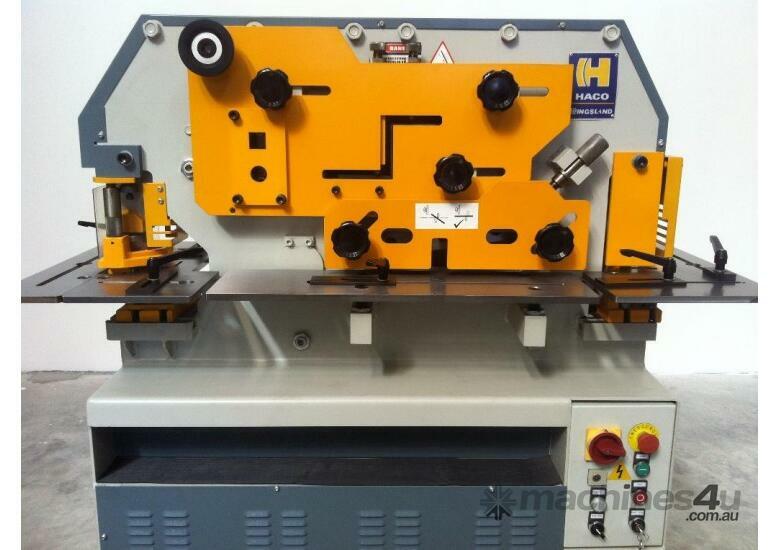 - Universal bolster for punching flat bar, angle iron and the flange of channel and / or beam. 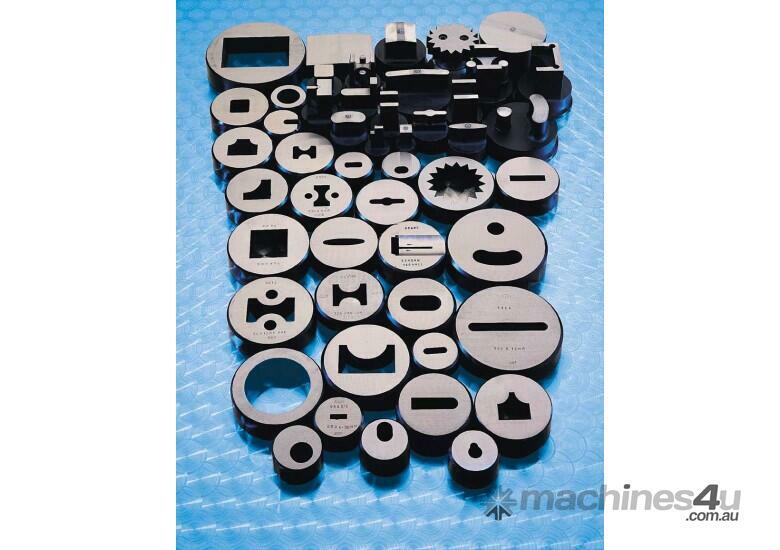 - Large hole attachment for punching larger diameters available. 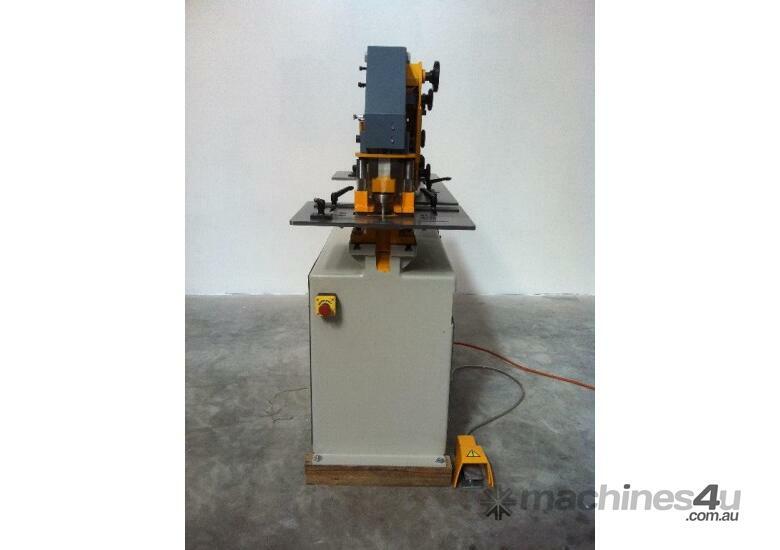 - Heavy-duty support tables with guides at shear station and punch station. 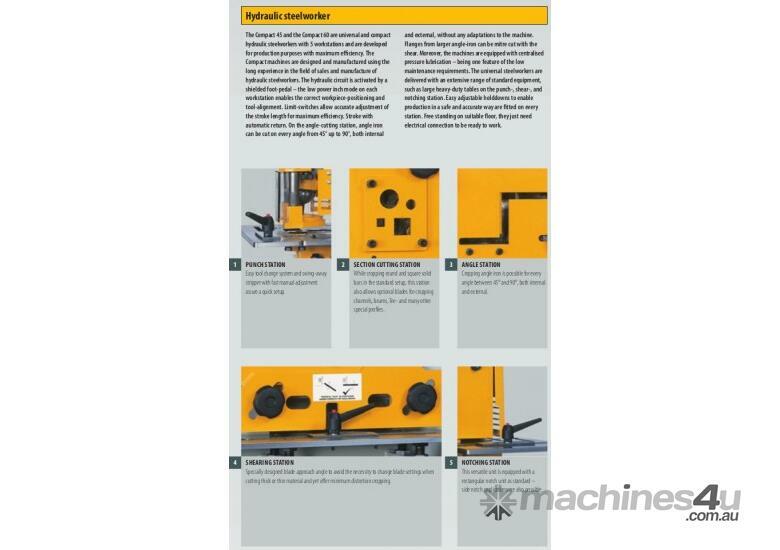 - Instruction, operating and maintenance manual.